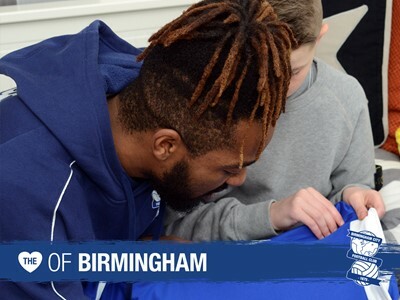 Jacques Maghoma gave young Bluenose Archie Ray one of the best days of his life earlier this week. 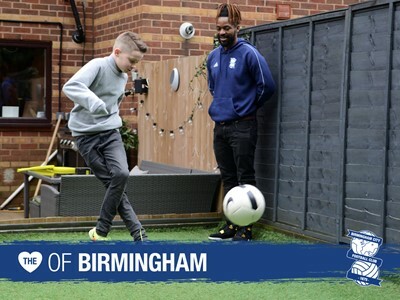 Archie,11, who has autism and sensory processing disorder, is going through a period of change in his life with the transition to secondary school looming and moving into his own bedroom away from younger brother and ‘supportive rock’ Stanley-George. 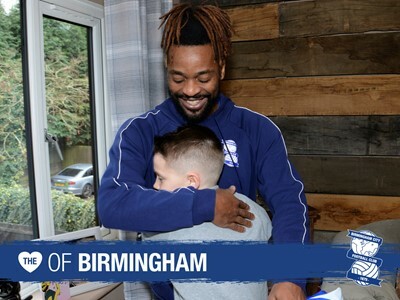 Jacques heard about Archie’s story and wanted to make his new bedroom extra special with a gift of a signed Blues shirt for his wall. 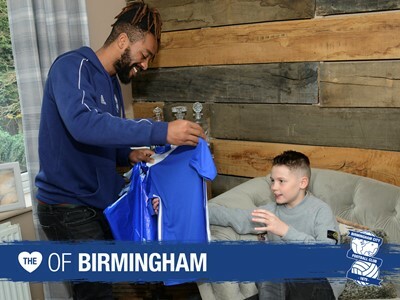 The Blues winger presented Stanley-George with a shirt and signed a plethora of items for their revamped rooms. 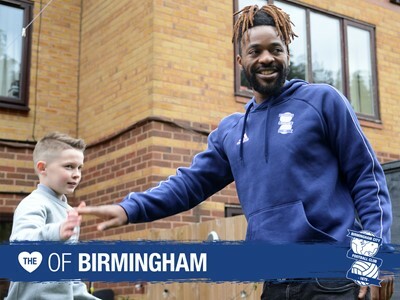 The brothers greeted Jacques with huge smiles and hugs at their house in Longbridge, Birmingham on Wednesday afternoon. 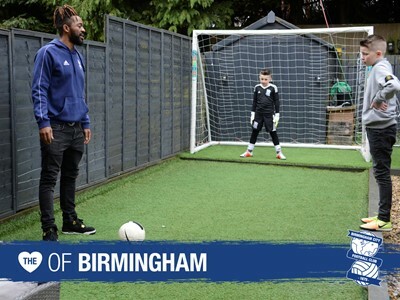 Archie and Stanley-George then challenged Jacques to a game of football in the garden including a penalty shoot-out competition and a keepy-up challenge! 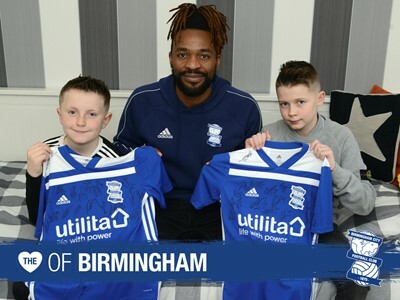 The day got even more special for Archie when Jacques then invited him to be his mascot at the Blackburn game on Saturday. See you Saturday and keep right on Archie! 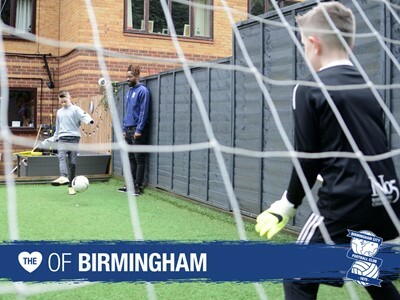 Community Trust soccer camps are back for Easter! 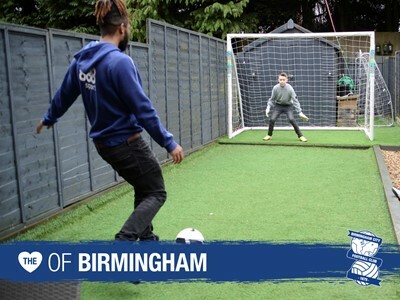 Play on the St. Andrew’s pitch with BCFC Community Trust!